Mosquitoes are particularly active at dawn and dusk and also close to water. If possible avoid fields and meadows and keep away from lakes, rivers and streams at these times. Insects seek camouflage and therefore prefer to alight on dark surfaces and materials. They are less safe on light-coloured clothing, making it advantageous for humans for exactly this reason. Avoid bites by wearing loose-cut, long-sleeved clothing and full-length pants in sturdy fabrics, and socks as well. Covering the skin will generally protect it from bites if the fabric is not too flimsy. For the past 20 years or more, Brettschneider has been on the look-out for convincing new ways and means of warding off mosquitoes, investigating many myths on preventing mosquito bites in the process. Many promising products have proved not to meet expectations. For example, to be effective the fragrances in candles or scented wax bowls would have to be of a concentration that would make them intolerable to humans. So far own trials involving ingestion of large amounts of vitamin B or garlic as a way of keeping the insects at bay have not proved successful either. As for ultraviolet light traps, they attract and kill many harmless insects along with mosquitoes, plus the electric mosquito repellents designed to repel female mosquitoes by emitting high-pitched sounds are an ingenious idea in theory but totally ineffective in practice. 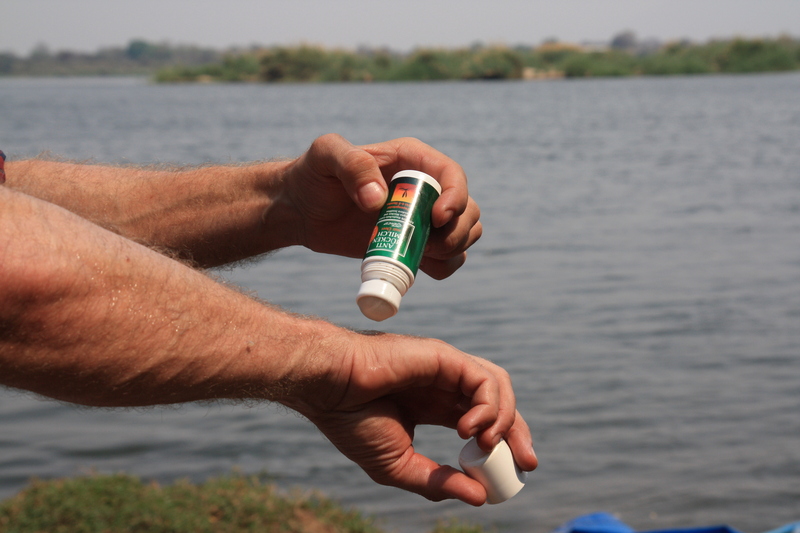 Repellents in the form of sprays, gels or roll-ons are a favourite means for keeping mosquitoes at bay out of doors. Products that contain DEET, short for diethyltoluamide, are particularly effective. This substance and plant extracts are a constituent of JAICO Anti-Mosquito Milk, which Brettschneider Fernreisebedarf distributes in Germany (and thus to wholesalers, retailers and pharmacies). The JAICO Anti-Mosquito Milk roll-on contains 24 % DEET and provides protection for about six to eight hours. The sprays and gels contain 30 % DEET and repel mosquitoes for about eight to twelve hours. Plant-based repellents, such as those with cedar or eucalyptus oil, contain natural constituents only but the protection they provide is less pronounced. Such products are available from Brettschneider. In both cases correct use is decisive to obtain the desired protective effect. No matter the repellent, it will need to be re-applied according to label instructions to maintain its protective effect. The same applies after bathing or showering as the water will wash away the protective film. If mosquito bites are no longer likely, it is advisable to wash off the repellent to avoid possible irritation to the skin. When airing rooms at dusk it is advisable to not turn on lights as they will attract insects. Yet no matter whether the window is open or closed, a mosquito net mounted over the bed will ensure restful sleep without fear of mosquito bites. Brettschneider stocks a broad range of mosquito nets in knitted cotton or synthetic fibre and in various shapes, colours and sizes. Box and bell nets are suitable for most interior situations, plus interesting products are available for mounting to inclined ceilings. Fly screens or gauze fabric installed on or in windows will also keep mosquitoes at bay. If screens or gauze frames cannot be screwed or clipped to window frames, Velcro and magnetic strips and different netting types are available both separately and in DIY window kits for do-it-yourself solutions.